Home » Business » Registration is open! 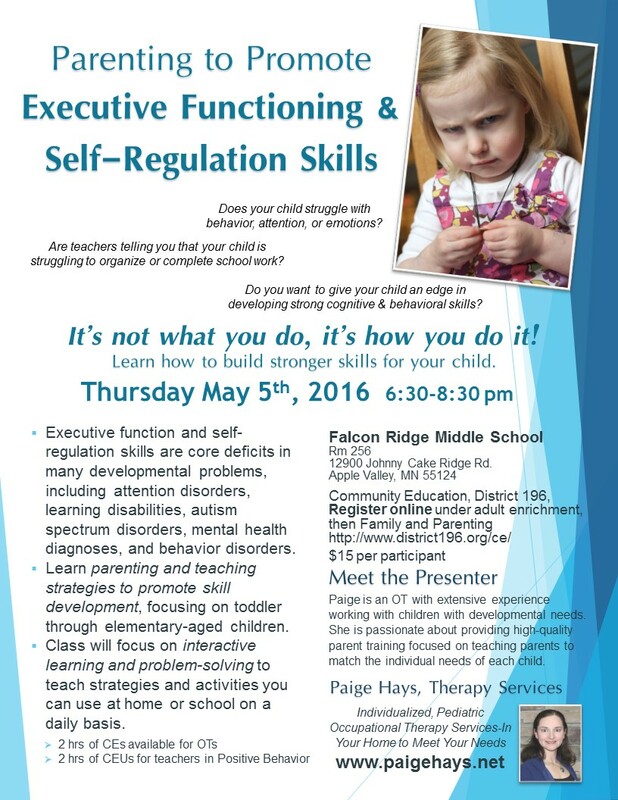 I am teaching a one night (May 5th) course for parents, teachers, and therapist about executive function skills through District 196 Community Education (Apple Valley, MN location, near Burnsville, Rosemount, Eagan, Lakeville, and Inver Grove Heights). PDF version of this flier to print and share.